Clive James says kind things in the TLS Books of the year round up. 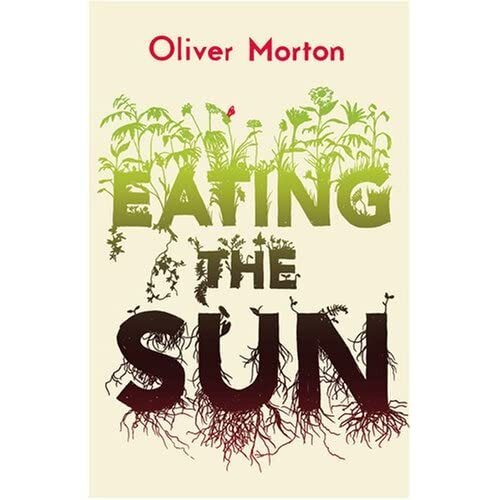 Among current books about science, my favourite is Oliver Morton’s Eating the Sun (Fourth Estate), which makes a thriller out of photosynthesis. It hasn’t been as easy a read as, say, Andrew Smith’s Moondust, (Bloomsbury) but I already knew something about the Apollo programme. 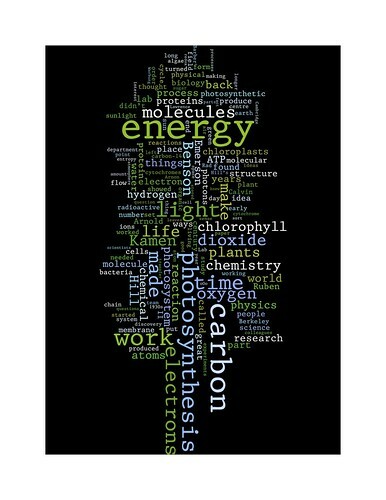 About photosynthesis I knew nothing, or thought I did: now I realize that I knew less than that. Figuring out how plants work isn’t rocket science – it’s a lot more complicated – but if you can do without the countdowns and the space suits, the biology laboratories are where the excitement is now. Another US review for Eating the Sun: Kirkus (sub required). And delightfully, another star! Meticulous but always engaging account of photosynthesis, the process that makes life possible. Because most readers probably last encountered that word in high-school biology, science writer and Nature chief news editor Morton (Mapping Mars, 2002) faces a tough challenge in making the subject accessible, but he succeeds magnificently. The pace never flags in more than 400 pages recounting the history of life (essentially the history of photosynthesis) and of how plants convert sunlight, water and carbon dioxide into plant tissue, the source of animal flesh and food as well as oxygen and much of our landscape and weather. 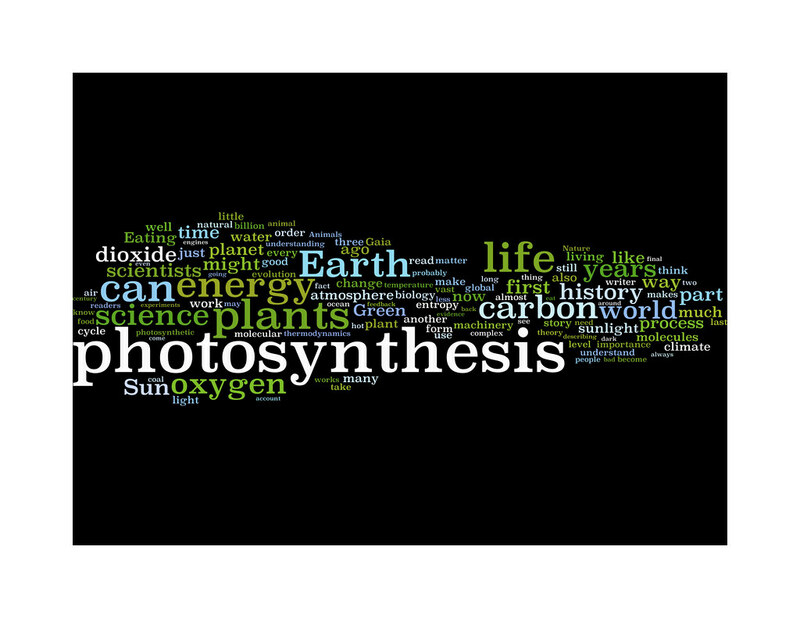 The author reminds us that the animal kingdom reverses photosynthesis. 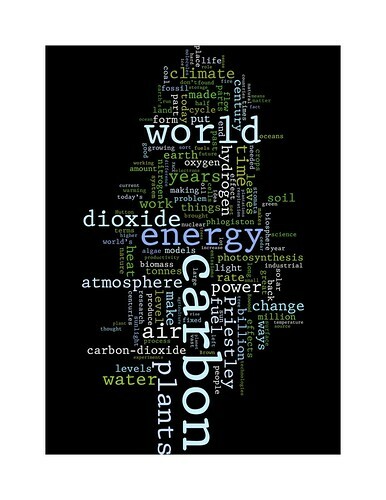 Animals consume oxygen, plants and each other to live, and then they die, decay and revert to inorganic matter, especially water and carbon dioxide. This cycle, stable for billions of years, is now out of whack, he notes. Humans are reversing photosynthesis on a massive scale by burning immense quantities of organic matter (coal, oil, wood), converting it back into carbon dioxide faster than plants can use it or the oceans and atmosphere can absorb it. That unsurprising bad news comes late in the book. Until then readers will enjoy the author’s biographies of scientists and accounts of research that revealed the specifics of how plants make life happen. Photosynthesis didn’t exist when life appeared well over two billion years ago, but it came soon after; Morton tells us how life probably originated and then delivers a detailed history of plant evolution to the present day. Because he describes these events as well as his scientist subjects’ thoughts, quarrels and experiments in precise detail, this is not a book to skim, but readers willing to take time will not regret it. US launch is now rescheduled for November 18th, due to a minor snafu. This should hold firm. I’ll try and mention any events associated with it here, and they will have a category all of their own. You can also check out the page at GoodReads, which should have a live calendar. The agency of animals is a visible thing. Their eyes blink, their gills flutter, their hackles rise, their pulses set the rhythm for their lives. They move back and forth, here and there, drawing their histories out behind them like the blur of a cheetah or the slime of a slug. The lines of their lives criss-cross the world, from the gyres of the ocean-circling albatross to the stochastic pinballing of a fly against a windowpane. The whole point of being an animal is trying to get somewhere else. Quite a few—let’s hear it for the oysters—have given up on this birthright, and rely on currents and providence to bring them their world. But most of us have not. Plants, on the other hand, very rarely move themselves around; they just grow, and in almost every case they do so imperceptibly. By and large, the agency of plants is invisible. This is the simplest, and perhaps the most profound, of the differences between those that eat light and those that eat others. It is why plants have a relationship with their environment both more intimate and more abstract than that of any animal. It is why they have no faces and no hearts. This great difference stems from the fact that sunlight is, at the efficiencies photosynthesis is capable of, a rather dilute source of energy…. …Trees are generally pleasing to look at, with the exception of the birch, which comes off as a bit “uppity”. But what’s below all the eye candy? 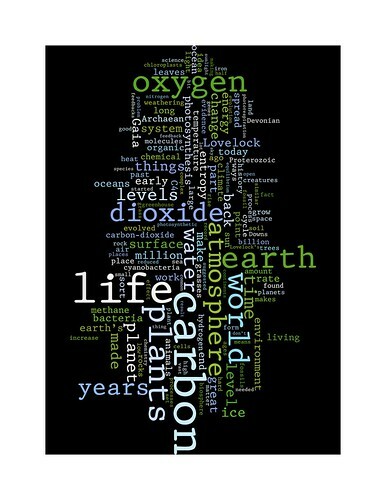 Well it turns out that trees make oxygen, which is important to many people worldwide. A tree can also be converted into wood, which has several uses, although once it becomes wood, the tree loses its oxygen-providing capability, so it’s a double-edged sword. If that’s all there was to it, trees would be a no brainer. But as always, there are complications lurking below the surface. First of all, trees take a long time to “grow”. You can start a tree now and possibly be dead by the time it starts to provide a significant benefit to you. This requires a degree of philanthropism on your part to even begin the process. Additionally, leaf-bearing trees generate a huge mess every year, rudely dumping last season’s fashion everywhere with callous disregard to property values or the volume of work required to clean them up.